In our ongoing efforts to “engage youth in their own education,” Eagle Rock School goes to great lengths to see that most of that educational engagement is interesting, positive and — in the case of our pre-trimester house retreats — rejuvenating. Like waking up after an afternoon nap, sometimes it’s difficult to jump to your feet and get back into action. Same goes for returning to campus after a well-deserved trimester break. House retreats enable our students to reestablish the camaraderie they had before break and reconnect with their fellow house dwellers. It’s two and a half days of “what I did on break,” punctuated by meals, competitions, sightseeing and time to refocus on the trimester immediately facing these students. Mixed in with all that frivolity and fellowship, there are house meetings where house leaders and intramural captains are elected. And there is serious discussion about topics of importance to each living community, as well as a sober revisiting of the house mission statement. 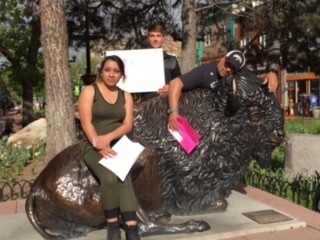 Pinon House: House members competed in a wacky “Amazing Race” in nearby Boulder, with the final challenge directing everyone to Quaker Steak and Lube in Westminster. The following morning concluded lazily with everyone enjoying cereal and cartoons back on campus. 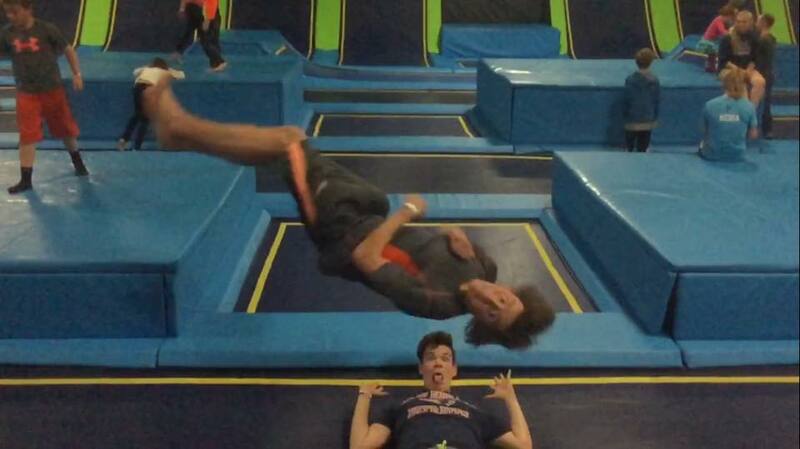 Lodgepole House: Residents created their own homemade pizzas, and then went to a local trampoline park. 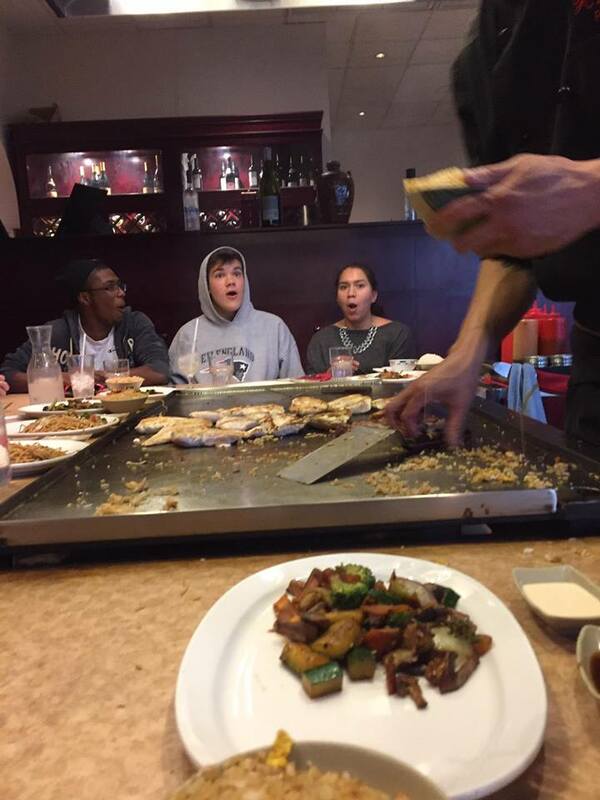 They also feasted well at a hibachi restaurant. Juniper House: The highlight for residents of Juniper was visiting the Denver Art Museum for the Samurai: Armor from the Ann and Gabriel Barbier-Mueller Collection exhibition, which tells the iconic story of Japanese samurai through 140 objects from one of the finest and most comprehensive collections of samurai armor and accouterments in the world. Surrounded by murals and war regalia, Juniper residents were ever so briefly immersed in the life, culture, and pageantry of samurai in the 1100s through the 1800s. Exquisitely decorated suits of armor, helmets, weapons, horse trappings, and additional battle gear were on display, demonstrating masterful craftsmanship. 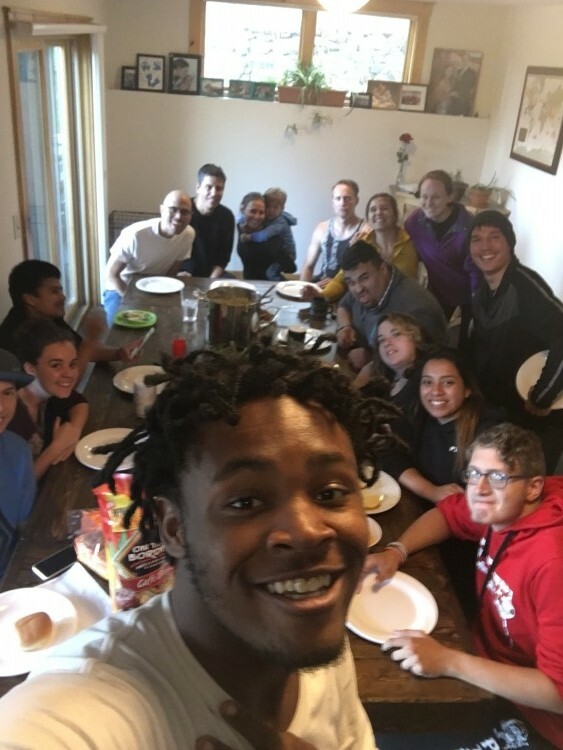 Aspen House: Students started their house retreat off with a home-cooked meal of fried chicken, greens and mac and cheese, with director of students, Philbert Smith, in charge of the fryer. Later they went to the Jumpstreet Indoor Trampoline Park in nearby Lakewood, and arrived late and left early to a wet Colorado Rockies versus Arizona Diamondbacks baseball game at Coors Field in Denver. As you can see, these short house retreats of ours are a chance for students to regroup before homework is assigned, Presentations of Learning are delivered, and the classroom experience kicks in for another trimester. 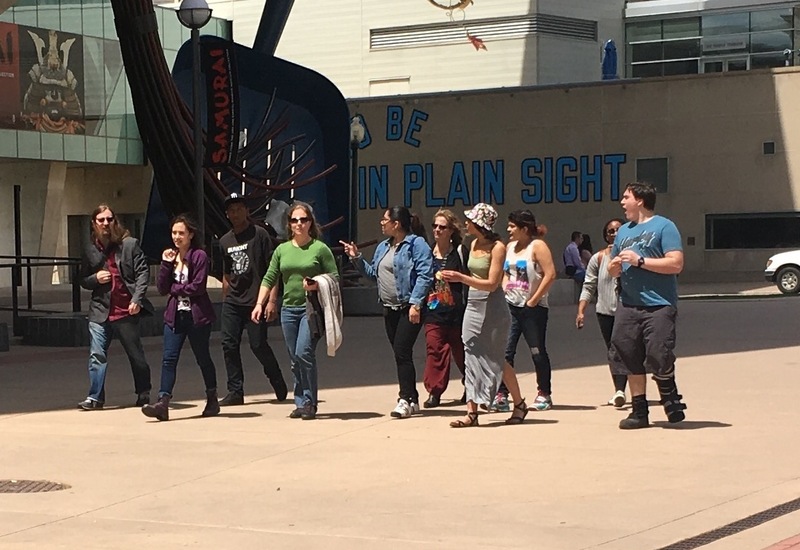 They’re also an opportunity to naturally fine-tune and adjust house culture while giving students free time to reconnect and bond with each other. This entry was posted in Life After Eagle Rock and tagged Aspen House, Colorado Rockies, Denver Art Museum, House Retreats, Jumpstreet Indoor Trampoline Park, Juniper House, Lodgepole House, Philbert Smith, Piñon House.